Input text: The image backdrop. the zebra is facing southwest. the small giraffe is facing west. 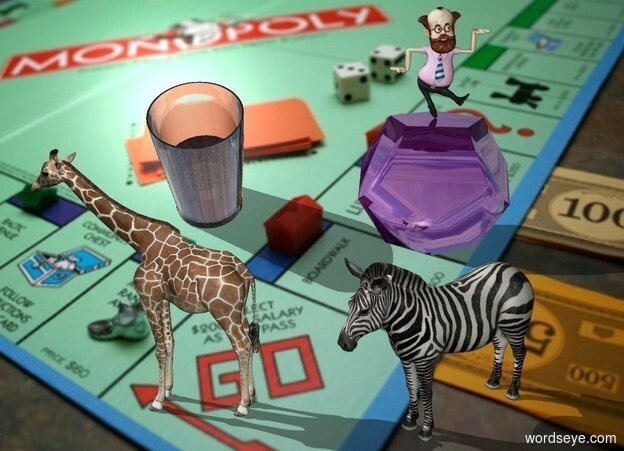 the giraffe is 2 feet left of the zebra. the shadow plane. 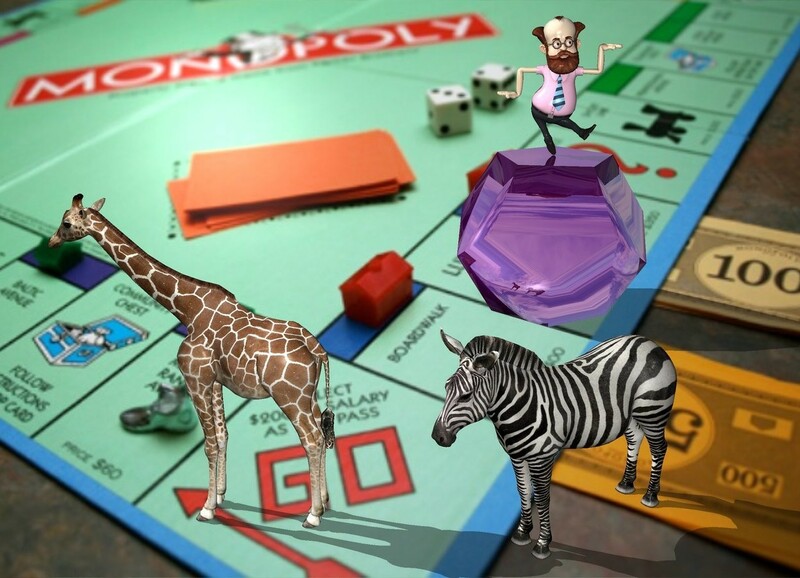 the huge shiny purple dodecahedron is 10 feet behind the zebra. the man is on the dodecahedron. One drink when you pass Go. . .
Two drinks for each hotel.